Summer may be winding to a close but that doesn’t mean you still can’t take a family vacation. If you have kids in school you will have multiple 3 day weekends with which you can plan trips, or if you want a longer vacation you can wait for winter break. Off-road Adventure- Taking a trip and bringing dirt bikes, quads, or other ATVs is an awesome way for the entire family to have fun. It works best if you set up a bass camp with all the essentials (tents/camper, fire, food and water), that way whenever someone wants to take a break they have a place to come relax. You can have breakfast, lunch, and dinner together as a family and as you know everything always tastes better when you’re camping. Historic Trip- There are plenty of historic places to visit here in the U.S. You can make a list of places that everyone would like to see and visit as many as them as possible. Even if you choose different cities instead of specific historic sites you can still have a very entertaining vacation. Cities like San Francisco or New York are chalked full of things to do and see. The Sports Enthusiasts- Some families are big on sports and if that’s the case then you can build a vacation around your favorite sports teams. Perhaps you could go to one city for a certain baseball team, one for football, and another for basketball. It’ll take some scheduling beforehand to make sure you are at the right place at the right time, but so do all vacations. Road Trip- Road trips are personally some of my favorite memories from my childhood. Making a good road trip depends first on the attitude and secondly on the conditions. For example if everyone is excited before you leave, it is much easier to enjoy your time together. If someone isn’t looking forward to a couple hours in the car then it will probably be harder for them to see the bright side of things. When I say “conditions” I’m referring to what you are traveling in. If there are five people in a small sedan then things may not be so pleasant. Get class A Motorhome or RV however, and your trip can be amazing. RVs are built to make life on the road easy and enjoyable. You have full kitchens, beds, TVs, and bathrooms which means that there really isn’t anything to complain about. 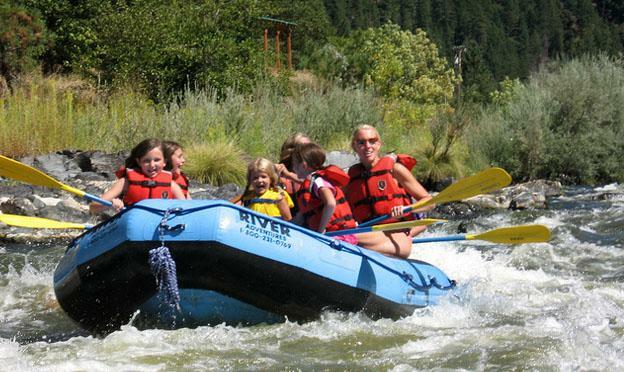 If you are planning on doing a fun family vacation in the near future then consider using one of the memorable ideas. With enough planning and the right attitude you can make a vacation that everyone will remember for years to come.